After struggling for two days, I finally have the Google maps sample from the Google Play Services as an SDK extra build and run successfully. 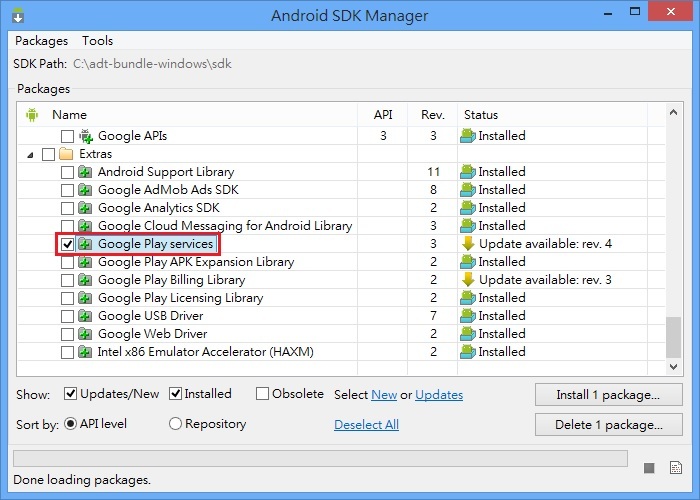 The sample is available if you install the Google Play Services in the extras section from the Android SDK Manager. It should be located at the path, C:\adt-bundle-windows\sdk\extras\google\google_play_services\samples\maps. Be careful! This is the most critical step. 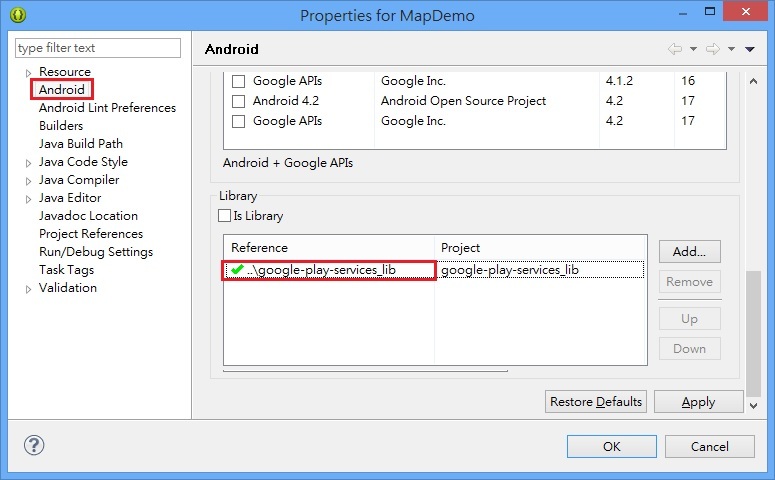 Open the maps Project properties page, choose the Android item in the list and add a Library reference at the bottom edge. DO NOT be confused with the Java Build Path Libraries or the Project References. DO NOT be confused with the Google Map API v2, which is for browser apps. Assign your key in the AndroidManifest.xml. You may be requested to upgrade the Google Play Services on your device. Be careful! Android Virtual Devices are not supported this time. What is the difference between setting the classpath and java build path in eclipse?